Pen drive is small portable device that has capacity to store huge amount of data. One can easily carry files from one place to another. But people are encountering the issue with – “pen drive show empty even when data exists”. The other problem that users are facing is – “pen drive shows 0 bytes” error. The used space and free space both show 0 bytes. I have done some research and I have found in several community and forum sites that there are many people having pen drive is facing the same kind of problem. Hence, I have decided to write this post that will help you to fix pen drive show empty even when data exists or how to fix pen drive showing 0 bytes. So, please read the post till the end and follow the solutions one by one. But before I share some manual solutions, let me help you to directly recover media files from pen drive showing empty but although it has data. Retrieve inaccessible media files from pen drive that display empty but is full or show 0 bytes error message. 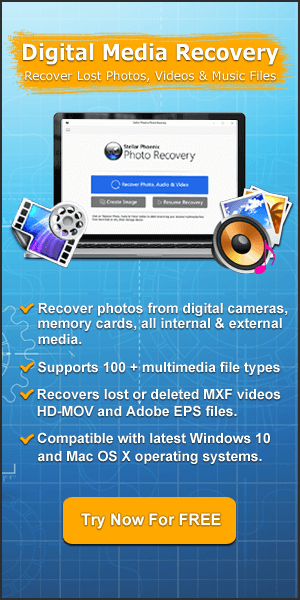 Extract photos, video and audio files. Beside pen drive, the software also recovers media files from memory cards, USB flash drives, hard drive that show 0 bytes or empty even when data exist. As we all know that pen drive is very useful as it has the capability to store large amount of pictures, videos, music, movies and other data and files. It is small, compact, portable and comes in different storage capacity such as 16GB, 32GB, 64GB, 128GB, 256GB, 512GB, etc. But as I discussed above, users are encountering with various pen drive error and problems. And from various issues, pen drive show empty even when data exists or pen drive showing 0 bytes has become major problem. i am using transcend 4 gb pendrive.when I insert this pendrive in any computer,it shows the occupying space.but when I open it .it shows it is empty.i have very important data in that .please help me to recover that data. 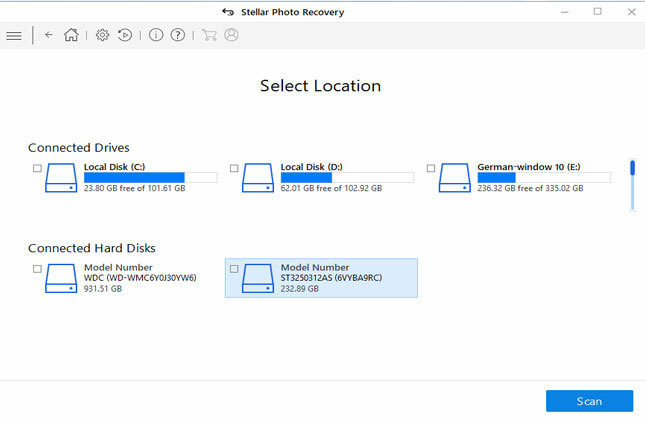 In above example, user wants to recover files from pen drive but it shows empty. But what makes pen drive to display such error messages? Why it show empty space or 0 bytes error, even when it holds data? Below find the answer by yourself! Why Pen Drive Show Empty or Display 0 Bytes Error? Well, there could be several aspects which could be causing this problem. However, the most common causes for this issue is virus or malware attack. May be your pen drive got infected with some unknown virus. If it is then it not only infects your files but also make them hidden. It creates empty shortcut files and folders that lead to nowhere. The other causes could be file system errors, damage, corruptions, etc. So, does this mean permanent loss of data from pen drive? Will I be able to access data anymore that is stored on the pen drive? Well just continue reading the post below to know the answer! Additional Reading: Hard Drive Shows 0 Bytes With No Files/Folders? Here’s How To Fix It! Is It Possible To Recover Data From Pen Drive Showing Empty or 0 Bytes? Though it seems that there is permanent loss of data, but let me tell you – No, it is actually not, until and unless you format your pen drive. Hence, it is suggested that at such situation you must never format your pen drive as well as do not try to add any new data on it. Let me tell you that when your USB pen drive shows empty even when it has lots of data or information within folders and files, it doesn’t mean that it has gone forever. The data still lies within it. You just need to apply right solutions to recover them back. Now, the question arises – how to fix pen drive show empty issue and recover files from it? So, follow the below solutions in order to fix pen drive showing empty/0 bytes space error although it has data. The first step that you must take is to scan your pen drive with reliable anti-virus program that show empty or 0 bytes space. There are several antivirus programs available online such as Bitdefender, AVG, Kaspersky, ESET, Norton and so on. Scan your pen drive thoroughly and if antivirus program detects any virus or malware then delete them. Now check your pen and see if you are able to access the files and folders stored within it. This is another quick way to check data. Connect your pen drive to another computer and see if computer is able to read the pen drive and you are able access files stored within it. If it its show the same issue, the follow the next solution. Connect your pen drive to PC. Now check if you are able to access files and folders of your pen drive. If not, then follow next solution. Click Start and type “CMD” in search program and files search bar and hit ENTER. Now enter the following command: attrib -h -r -s /s /d h:\*. * and hit ENTER. Note – h: is drive letter name of the pen drive. So, you need to replace “h” with your pen drive letter name. Window will take few minutes of time to fix the issue and after that you will be successfully able to access data and information that is saved within the files and folders in your pen drive. 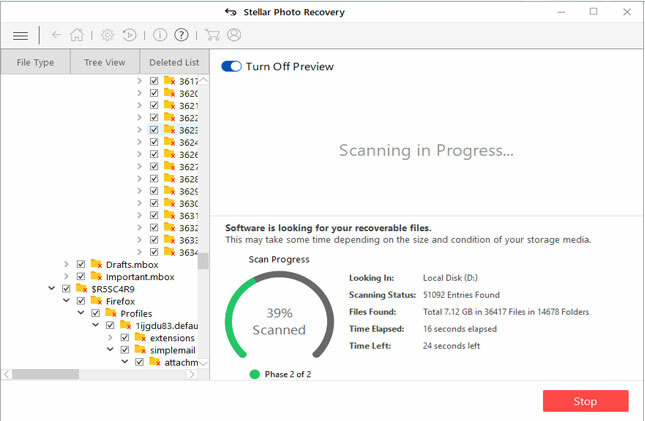 This is the very effective solution, but if in your case if it fails, then you must try to use Photo Recovery software to recover media files from Pen drive showing empty or 0 bytes even when data exists. 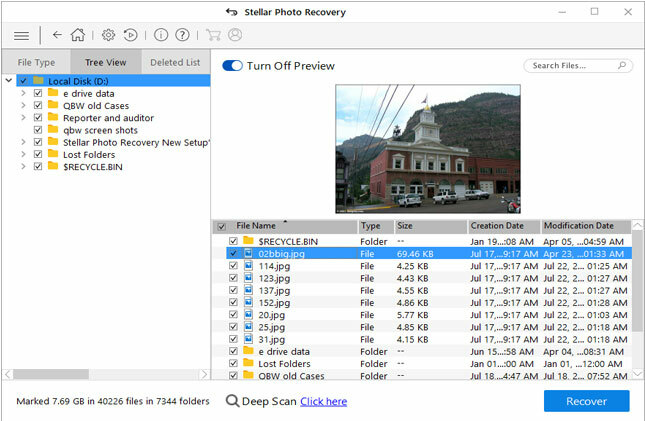 If all the above-mentioned solution fails, then it is highly recommended that you must try Photo Recovery tool. It is available for both Windows and Mac computer. This is suitable 0 bytes pen drive data recovery software that will help you to recover media files from pen drive detected but not showing data or from pen drive that shows empty even when data exists. It will help you to recover shortcut files or hidden files from USB pen drive. Beside pen drive, the software also retrieves inaccessible digital media files from SD card, hard drive or USB flash drive that show 0 bytes error or empty although it has data. 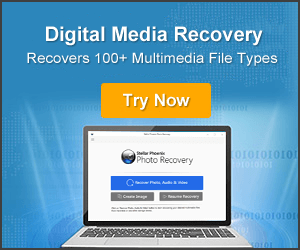 Note: This software will only help you to recover almost all file format of photos, videos and audio only. Each and every time use “Safely Remove/Eject” option when you remove your pen drive from your computer. Each and every time scan your pen drive with antivirus, when you connect your pen drive to any other computer. Never connect your pen drive to virus infected or compromised computer. Whenever, you face any kind of data loss on your pen drive, you must immediately stop using it, do not any new data and do not format it and then with the help of pen drive data recovery, recover all your lost or deleted files from it. I hope you have been able to recover inaccessible data/files from your pen drives that show empty or 0 bytes even when data exists within it by following the above-mentioned solutions. 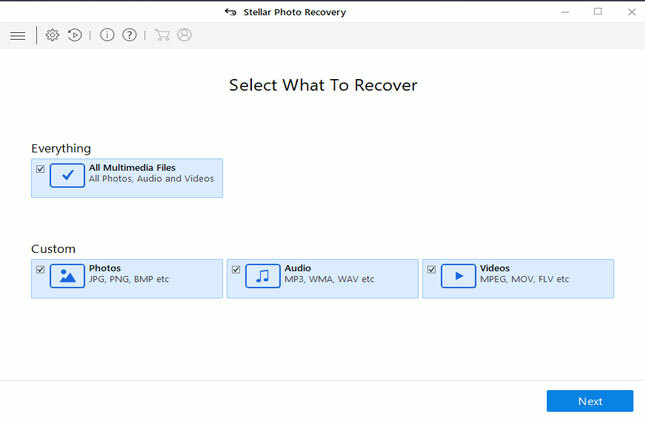 But do let me suggest you that if manual solutions fail then you must immediately try photo recovery software to at least recover valuable photos, videos and audio files from the pen drive. [Solved]: Pen Drive Show Empty Even When Data Exists! 1: Scan Pen Drive With Anti-Virus. 3: Unhide Files and Folders. 4: Run CMD Command. Recover Files From Pen Drive That Show 0 Bytes or Empty Even When Data Exists.